Welcome to the Nemeth Javelins website. It is our goal to present information in order to help athletes, trainers, track meet promoters, and all others involved in track and field to understand why Nemeth javelins are the world’s best javelins, used by most of track and field's brightest stars. 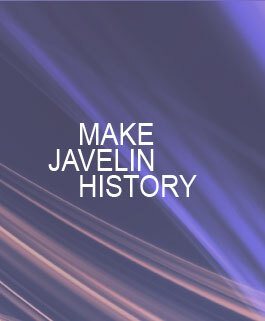 On our home page, you will find the price list of Nemeth javelins and updates of our latest javelin innovations. Here at Nemeth Javelins it is our goal to continuously improve our javelin design to keep pace with changing needs of the athletes. In our News section, you will receive further news about the world’s top javelin throwers and the javelins they are using. We will provide up to date information about any developments concerning the event of the javelin. We welcome any comments you have concerning our website, or any questions regarding our javelins. Thanks for visiting NemethJavelins.hu.